Did y’all ever have this dressing growing up? It’s something I remember from my childhood. I knew it was very sugary because of the sweetness of the dressing. THIS is the reason why I had to THM this dressing! WOW! WINNER!!! 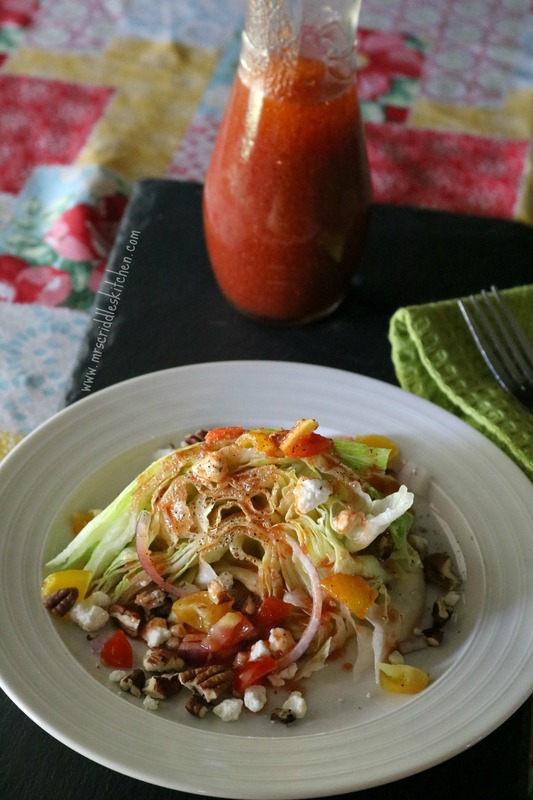 I LOVE LOVE this dressing! My sixteen year old daughter who does not like any kind of vinegar dressing actually loved this and requested a salad with this dressing today! WIN FOR MOM! 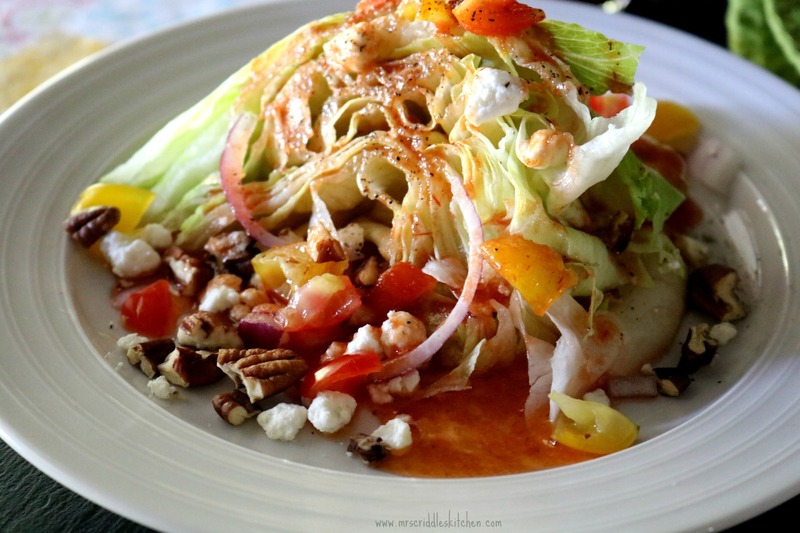 So here you go, a THM S, LOW CARB, Sugar Free, Catalina dressing!! I hope you enjoy as much as I did! Let me know what you think! 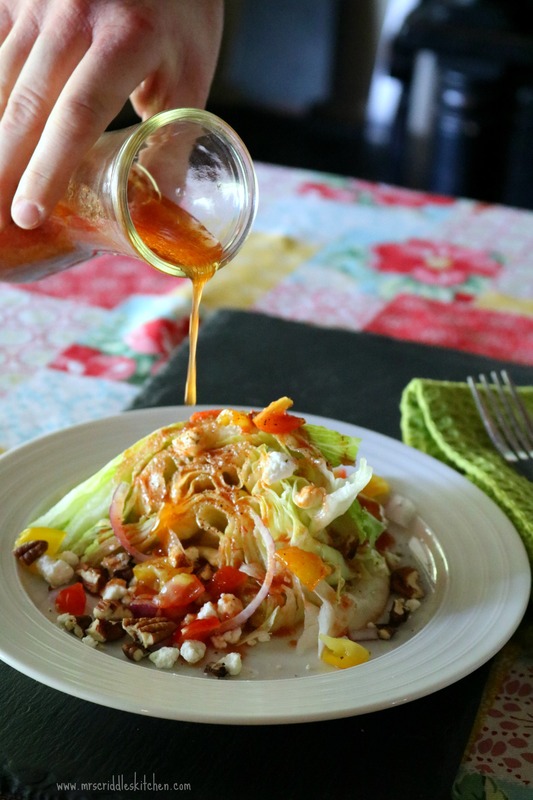 Catalina Dressing- a sweet tangy dressing made from great ingredients without all that sugar. Low carb & THM friendly! In a bowl mix all ingredients well. Cut up chunks of lettuces. Sprinkle with goat cheese, nuts, onion slices, tomatoes and meats. Pour dressing over the top and add salt and pepper.